From typewrite to iPad--What an evolution and journey! 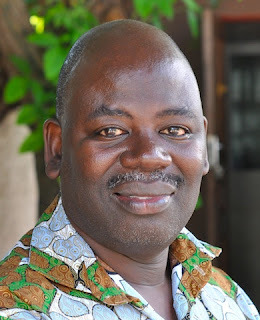 I've been running columns in Zambian national weekly newspapers non-stop since 1990, i.e. for twenty-four years. At one time I was writing three per week. In two of them I have used a pseudonym to hide my identity but in one of them I have used my real name. As I have thought about this, I have been gripped by the changes that have taken place between 1990 and today. If they had taken place overnight, they would have been shocking but they took place slowly. So, it is the panoramic view that is breathtaking. 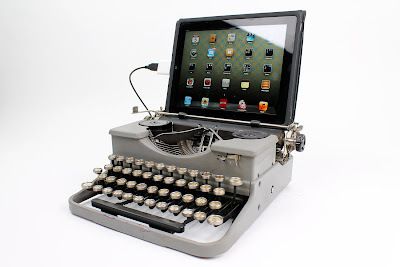 When I began writing for the National Mirror newspaper in 1990, I was using a typewriter. For my younger readers, a typewriter was a machine we once used for producing print-like characters on paper. It has since been buried with the dinosaur. Apart from the energy one exerted to push the mechanical keys and to push back the paper roller after every line, the challenge was that you could not squeeze in thoughts into your composition that occurred to you afterwards. Often I also had to re-type the whole article because of some errors made while typing. After typing the article, I used to get on my bicycle and ride across town to take it to the newspaper offices in time for my weekly deadline. At that time I was running two columns concurrently—one in my own name and the other in a pseudonym. Being an itinerant preacher meant that sometimes I would have to consider the fact that the articles would be needed while I was away. Thankfully, there was the facsimile (shortened to fax) machine. If you are wondering what that is, it was a machine that scanned documents and transmitted them. It has also been buried with the dinosaur. The fax machine was wonderful if I was travelling to foreign countries that were developed enough to have them. However, often my ministry took me to rural Zambia where they were rare. In such cases, I would write and deliver a number of articles to cover the period of my absence. This really stretched my creative capacity. When all was done, the final agony was when I would read the article in the newspaper only to find serious typographical errors. This was because in those days the newspaper copy typists had to copy word-for-word and they were not impeccable. Sometimes the sentences would say the exact opposite of what I wanted to say. It was agony, I tell you! Then the personal computer came to Zambia and I bade farewell to the typewriter. What a change this brought to my life! One of our deacons was running a project at the University of Zambia and had some five or six desktop computers in his office. He offered me the use of one at any time I wanted to use it. This solved the problem of energy lost pushing the mechanical keys and the paper roller. It also solved the problem of failure to squeeze in thoughts and correct errors as I typed. At least now I could print only when the whole job was done. However, it now meant that each time I needed to work on the columns I would cycle to the office of the deacon, work on my articles, and print them out. Then I would cycle to the newspaper premises to drop off the script before cycling back home. It was an agonizing triangle across town. At least it kept me healthy. You can well understand how delighted I was when I bought my first personal computer in 1993. Its total hard drive was 24Mb and it cost me an arm and a leg. It took very serious master bedroom negotiations to finally clinch the deal to get a slice from our savings as a family in order to purchase one. Felistas told me afterwards that she thought I was being extravagant. A pastor with a personal computer! Well, one of the main reasons for my "extravagance" was that I wanted to do my work as a columnist from my own home. So, I was now back to the situation where I could write the articles as soon as I was inspired. Sometimes inspiration came in the middle of the night. Also, now I only needed to cycle one way when delivering the articles. Thankfully, before long, software for computers became available that enabled one to send a document from the computer using a telephone line and it arrived at its destination through the fax machine. That spelt the end of my cycling to the newspaper offices. I would only call to find out if the article had “arrived”. At that time, I thought that this was a great technological achievement. The next major blessing was the introduction of the electronic mail (shortened to email) in Zambia. At the touch of a button on my computer, my article could now arrive at the newspaper offices without me even leaving my seat. Although the fax machine did this, this time the sub-editors only needed to “cut and paste” my articles when they arrived in their inbox. That spelt the end of the typographical errors caused by copy typists. At one time the editor for the newspaper with whom I was writing the two columns said to me, "You should see the difficulties we have in re-writing some of the articles we get from our columnists. But for you, even when I'm going away, I just tell the sub-editors, 'When Pastor Mbewe's articles come, just cut and paste!'" My itinerant ministry still presented a challenge because up to that point my computer was a desktop. You can well understand my joy when the laptop computer became an option. I did not hesitate to begin bedroom negotiations and before long I had bought my first laptop, which weighed a ton but was at least portable. Since then, I have worked on reducing the weight of my laptop so that I can carry it around more easily and write my articles at the moment of inspiration. I now carry an iPad with me. My wife—yes, you read it correctly—recently urged me to buy one. It took one year of persuasion before I finally yielded in March 2012. Now, I am very glad I did. So, as I pause on the eve of a quarter of a century of being a weekly columnist in my country, almost all my initial challenges are behind me. I can now compose my articles anywhere, even while on a queue in the bank. And I can now do it without exerting any physical energy and without re-writing the whole article. I can now send my articles from the comfort of my home or wherever I am on the planet at the touch of a button, and it will be published as it was written. Let’s face it, compared to the early nineties, this is paradise! Conrad: Kennedy, I am given to understand that you finally answered the Lord’s call to full time ministry in 2000 after many years of hesitating. 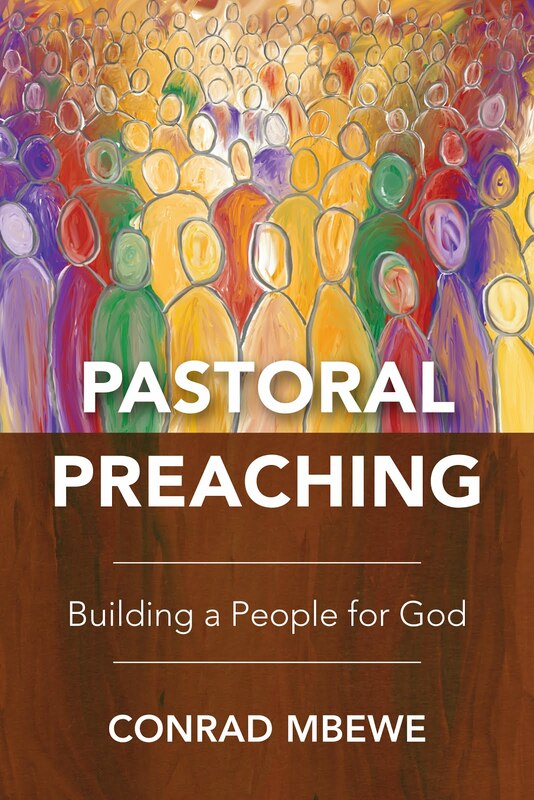 When did you first sense that God may have been calling you to a life in the pastoral or preaching ministry? 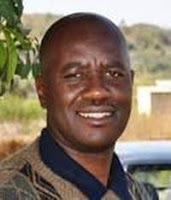 Kennedy: As far back as my university days (UNZA, 1981 – 1985), especially towards the end of my studies, my friends began to encourage me to think of full time service for the Lord. I was not sure exactly in what capacity that would be. Since I was pursuing a degree in education (BSc. Ed), I resolved to be in teaching, while waiting upon the Lord. This was also at a time when most of our university colleagues flocked to neighbouring countries to pursue their teaching careers, for obvious reasons – better remunerations. One of the reasons why I opted to remain in teaching was that teaching afforded an opportunity to serve in Scripture Union, ministering to young people in schools. Conrad: Did you have any opportunity within the context of the local church to see if God was equipping you for ministry there? Kennedy: Yes, upon graduation from the university I first settled in Lusaka. 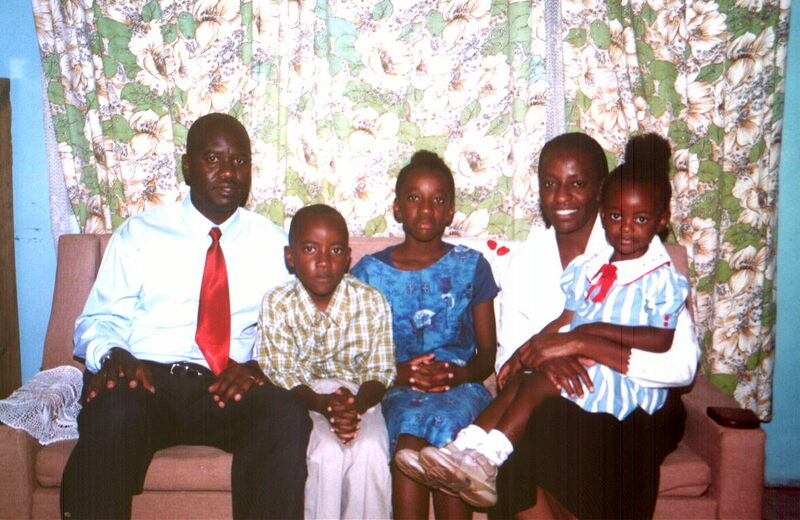 I committed myself to my local church then, Kabwata Baptist Church (KBC), where I was one of the first deacons. I was also accorded opportunities to take Bible studies and preach from time to time. All along there was a brother who kept on saying to me “Iwe utaba calling” [you are running away from the call]. Conrad: So, how did the Lord lead you after this? 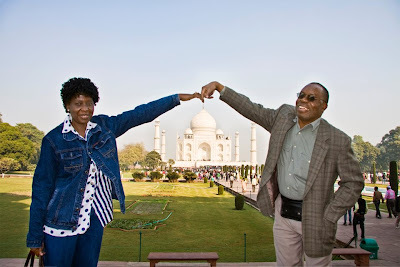 Kennedy: In 1989, I requested for a transfer from Lusaka where I had been teaching from 1986. I moved to Choma Secondary School, in the southern part of Zambia. This was for two reasons. Firstly, I wanted to teach at a mission school where my services as a science teacher would be most appreciated. Lusaka had enough of such teachers, unlike a semi-rural townl like Choma. I was able to freely exercise my teaching and preaching gifts in this mission school along-side my teaching job. At one time I was also asked to act as the school chaplain. 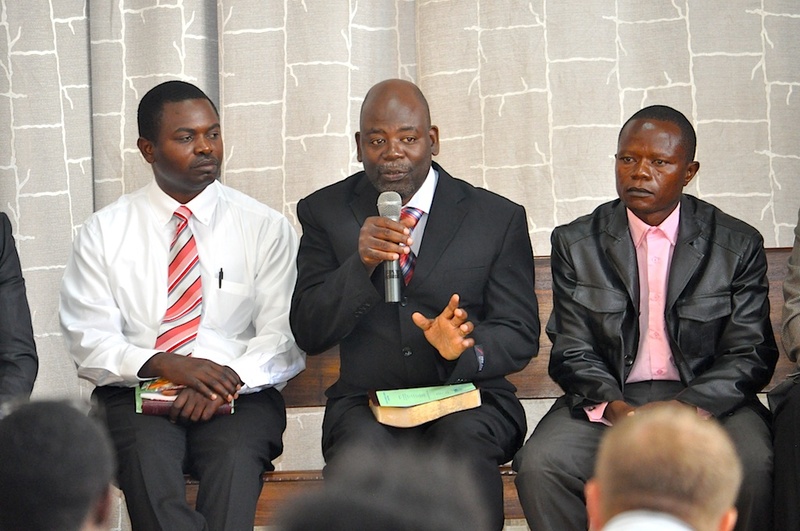 The second reason was that there was a new Reformed Baptist church in Choma that needed additional manpower. I felt I could again be more useful there than at KBC, which was then a growing church. The Reformed Baptist church in Choma also accorded me an opportunity to exercise my teaching and preaching gifts. In due course it was becoming clear that this was what I loved doing much more than teaching Chemistry and Physics. Conrad: How did the final break come about which led you to answer the call to the pastoral ministry? Kennedy: I think that this came about when the pastor of the church in Choma resigned and I found myself as the sole elder in the church from about 1996 to 1998. 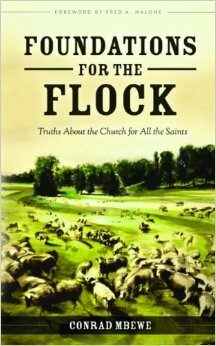 I basically began to do all the pastoral work, while trying to remain faithful in my teaching job. This was becoming too much. I needed to make a choice or else one aspect was going to suffer. The following year, in 1999, I was promoted to be a lecturer at a college in Luanshya (on the Copperbelt). When I moved there, as much as I tried to fit into the local church there, I was convinced something I loved doing in Choma on a regular basis had been taken away from me – teaching and preaching the word of God on a regular basis. We only stayed in Luanshya for a year. 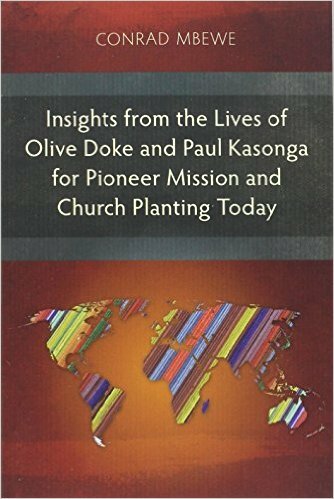 My wife and I agreed that I give up lecturing, and, with support from KBC, go into church planting. This happened in 2000. It was this move that led to the birth of Kafue Reformed Baptist Church, where I have been labouring since. Conrad: Usually, part of the hesitation in getting into the work of ministry has to do with financial survival. How has the aftermath been? Kennedy: The work here in Kafue has had its challenges and encouragements. No doubt the work has been steadily growing, and after 8 years of existence, the church became autonomous. The church has been able to support me financially and in terms of doing the actual work through the various ministries now in the church. We have been able to send all our three children to very good schools with the financial support of the church. Our eldest daughter is now in first year at university and the church has been very supportive. We have also had a few pleasant surprises. For instance, after four years of being in the ministry, the Lord miraculously enabled us to purchase our own house here in Kafue. In many ways the work has been very fulfilling, as we have seen lives changed and added to our number as a church. Conrad: Thank you for sharing all this with us! I know the title above must be quite confusing. I have wrestled with how best to title this blog post and cannot do any better. For some time now, I have grappled with how best to express my uneasiness with the way “deliverance” has become the catch phrase in our Christian vocabulary in Africa in the recent past. To me, we have become so terribly lopsided that our faith is in danger of becoming nothing more than African traditional religion under a thin veneer of Christianity. A few days ago, I think I finally found a way. It was to compare how one of the apostles handled spiritual issues with the popular way in which we are handling them today. I thought one of the most troubled churches—the church in Corinth—would be a good example. Thus I thought of using the apostle Paul because he dealt with the many issues that arose in Corinth. 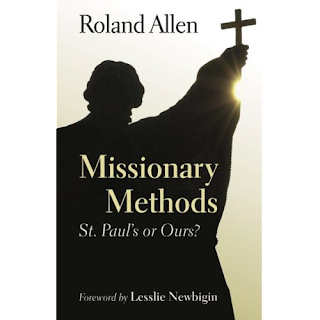 The title of this post is a slight twist on a book that was written at the beginning of the 20th Century entitled Missionary Methods—St Paul’s or Ours, in which a seasoned missionary (Roland Allen) compared the popular missionary methods of his own day to those of the apostles generally and of the apostle Paul in particular. The book is a classic! You can well understand why I found this title so appropriate for my blog post. Okay, let us look at 1 Corinthians now. As you know, the church in Corinth had a lot of problems. In this blog post, I want to go through the first few in order to compare how the apostle Paul handled them as a pastor par excellence with the way today’s popular preachers in Africa are handling them via “deliverance”. The first issue handled in 1 Corinthians is that of disunity in the church due to people aligning themselves to various leaders and preachers within the church (chapter 1 to 4). The method in vogue in Africa today is to say that there has been an evil spirit of disunity unleashed by the devil upon the church. So, the cure is an overnight prayer meeting at which such a spirit would be exorcised. How did the apostle Paul handle this? He taught the Christians in Corinth that the fight over personalities is totally worldly. In the Christian faith it is God alone who ultimately matters. That is foolishness to the world but it is God’s way. So, any spiritual achievement is because God gave the increase by the power of his Spirit. The only true foundation, therefore, is Jesus Christ, and that yardstick will test every work. So, no more boasting about men: Christ alone is all that matters! The second major issue handled in 1 Corinthians is that of sexual immorality in the church (chapters 5 and 6). The method in vogue in Africa today is to say that such a person has a spirit of fornication or adultery. He needs deliverance. As I have argued before, such an understanding takes away the responsibility of the sin from the individual and puts it on a powerful force that makes him do wrong. How did the apostle Paul handle this? He first rebuked the church for allowing moral standards to reach such low levels. He then made it clear that such an individual must be excommunicated at their next meeting. The church must expel wicked people from its midst. He urged members not to take each other to court but rather to deal with interpersonal clashes among Christians within the church itself. He wraps up the matter of sexual immorality by reminding the Christians that their bodies are temples of Christ, who lives in them by his Spirit. The third major issue handled in 1 Corinthians is that of marriage (chapter 7). There were a number of people who became Christians while they were engaged or were already married to unbelievers. How were they to handle this? Any prolonged engagement or animosity by an unbelieving spouse today would be blamed on spiritual husbands and wives. That is the popular understanding today, as you will have noted from the reactions to my recent blog post. How did the apostle Paul handle this? He taught believers that being married or being single did not in itself affect one’s relationship with God. So, they did not need to change their marital status. What mattered was that in whichever state Christians were, they are able to obey God’s commands fully and serve him whole-heartedly. After all, Christ is the one who purchased them with his own blood. However, anyone needing to change his status was equally welcome. The fourth major issue handled in 1 Corinthians was that of how to handle fellow church members who had religious qualms because of their background (chapter 8). No prize for guessing that the popular analysis of such a situation today is that such people and such items are possessed by the spirits of their ancestors. Such people need to be brought before a “man of God” for deliverance. How did the apostle Paul handle this? He first called for humility and love among the people of God. He then emphasised the fact that there was only one God, the Father, and only one Lord, Jesus Christ. All others were lies. However, due to people’s backgrounds, it may take some people long to grow out of the view that there are other “gods”. Therefore, those who are more knowledgeable than others should reduce their freedom for the sake of the weak. I could go on and apply the same to the difficulties that arose due to the abuse of the Lord’s Supper, the misuse of spiritual gifts, and the wrong teachings about the Second Coming of Christ. However, I think that these four examples should suffice to show the great chasm between the growing popular approaches of pastors here in Africa to spiritual issues and the approach of the apostle Paul, who is a representative sample of the other first century apostles. Clearly, what we notice is that the apostle Paul was not seeing demons under every shrub that moved! Rather, he spent time teaching the believers the truth. Thus, if we can imagine him ministering in the church in Corinth, the pulpit would have been a place of rich teaching rather than “an altar” where he was busy laying hands on people until they were writhing on the floor, as if they were in a witchdoctor’s den. It is light from God’s Word that brings spiritual health! We also notice that all the truth was Christo-centric. When he taught against disunity in the church, he asked the question, “Is Christ divided?” When he taught against immorality, he pointed believers to the fact that their bodies were no longer theirs but Christ’s temple. When dealing with marriage situations, he reminded believers that they were bought with a price—the death of Christ—and their chief concern should be to serve him. And in handling the weaker brother, Paul exhorted those who were stronger to deny themselves what they considered innocent rather than destroy those for whom Christ died. It was all about Christ, arising from rich teaching about the person and work of Christ. So, whereas I believe that demons and evil spirits exist, I want us to be biblically balanced. Today’s preoccupation with demons, spirits, and deliverance is a loss rather than a gain. Sound Christ-centred teaching is missing in our churches. Instead, our churches are spiritually impoverished primarily because of the gross ignorance among believers concerning the person and work of Christ. Instead of seeing demons under anything that moves, let us get back to the great Pauline approach of teaching believers about what Christ has done for them. They will then be enabled to see how this applies to the many challenges they face in their marriages, families, churches, work places, etc. This is all I ask for! Conrad: How did you identify that God had called you into the preaching ministry? 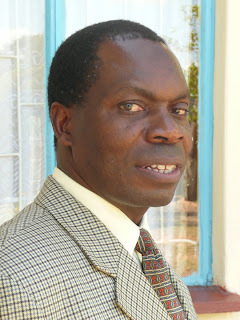 Raphael: Having gotten saved in the seventies, a time when there was some kind of revival in Zambia, meant that immediately one got born again they zealously begun doing the Lord’s work like witnessing and discipling. So for a long time I did not look at my inclinations to evangelism and discipleship as been indicators that one day the Lord would want me to serve him full time. This was compounded by my naturally shy and timid disposition. Nonetheless thoughts of being called started coming to the fore with an increase in ministering opportunities especially at the new church plant in the town of Chingola from 1987 onwards. Ministering in church was also supplemented with ministering to students at some colleges in town. The more I ministered, the more I felt this was what I wanted to do in life. These internal convictions were soon consolidated by external ones as brethren began to testify that whenever I preached they were edified and they felt I should seriously consider fulltime ministry. My ministry to the unconverted, especially students, was also yielding positive fruit as a number of them were getting converted. Working in the mines meant that most of my time and energy were taken up by this work and this tended to slow down the growth of the conviction. In 1996, I changed jobs and moved to the town of Mufulira. My new work environment was more relaxed and once again both the internal and external stirrings reappeared with ever increasing intensity. Conrad: What steps brought you to the point where you knew the sphere that God wanted you to labour in? Raphael: It began to dawn on me that it was very possible to become like Jonah who ran away from the Lord’s call and consequently became the first man in the world to travel by ‘submarine’! I resolved that I would put my calling to the test by doing a couple of things. Firstly, I decided to share my burden with close friends, especially my fellow elders as well as some pastors. At this time I was serving as an elder at Fairview Reformed Baptist Church. When I did this it opened up the matter to prayer and discussion. Secondly, I sought to have a practical feel of the mission field by devoting one of my leave periods to go to work in an actual mission field. To this end my wife and I went to Mazabuka where Kabwata Baptist Church (KBC) was planting a church without any missionary pastor. We worked there for a period of three weeks. This proved to be the turning point both for my wife and myself. There after it was just a question of ‘when’ and not ‘if’. When I had a chat with you and you confirmed that we could go and plant a church in the town of Mazabuka under KBC’s oversight. Now that the call was confirmed, it was just the practical issues that had to be addressed before we could take the final plunge! Conrad: Many people really hesitate to “hold the plow with both hands,” to borrow an expression of our Lord. What are some of the issues you wrestled with as you sought to respond to the call? Raphael: There were a number of these but two of them stand out. The first was the fear of the unknown. There was the lingering feeling or belief that one needed to undergo some kind of training before becoming a missionary pastor. There was the fear that without such training one was bound to fail. Then there was the fear of the known. My wife had a good job at the Mine School in Mufulira; where would she find a good job in the small town of Mazabuka? Our son was attending school at the same school whose quality was very high. Our son was rather behind in his schoolwork and we feared that taking him to another school would only worsen his situation. We were building a house in the town of Kitwe and we feared we might not be able to complete it once we went into the ministry. We also felt we needed to buy the company vehicle I was driving but my company was taking their time to reach a decision to sell. When my employers learnt that I was contemplating leaving, they dangled a very thick and juicy carrot in front of me by offering me to go and work as an expatriate in a neighbouring country. The temptation was there to accept this offer ‘temporarily,’ go and make a few dollars and then rush back just in time to answer the call. With respect to our son’s school we also toyed with the idea of leaving my wife behind to continue working in Mufulira and only join me after our son wrote his Grade 7 exams two years down the line. The more we limped between two opinions the more frustrating our situation seemed to become, until we decided to make a radical decision and take the plunge! Conrad: It is amazing how the ideal timing never finally comes and you just have to bite the bullet. How was it with you? Raphael: You are right. In taking the plunge I just had to turn down the offer from my company to take up an expatriate job. I also decided to leave my company vehicle behind, since the company had not yet committed to sell. We decided we would trust the Lord to provide us with transport in future. To make matters worse, we finally moved to Mazabuka before our building project in Kitwe was complete and trusted that the Lord would provide the resources in future to complete it. And finally, my wife quit her job and our son left the good school he was in. We were going to trust the Lord for her career prospects and our son’s education. And thus in July 2005 we packed our bags and left the mining town of Mufulira and headed for the small sugar cane growing town of Mazabuka. Conrad: It was almost eight years ago since you took the plunge. Have you sunk or swarm? Raphael: It was as if everything started falling into place soon after we committed to trust the Lord and obey his call. My former company made up their minds at the very last minute and sold us the vehicle I had been driving. Upon moving to Mazabuka, my wife found a job at one of the leading private schools there and later left to start her own school, which the Lord has been blessing with steady growth. Although the quality of the primary school our son went to was below that of the mine school he had left, the Lord simply opened up his mind and he had the second best results at his school. He has recently completed his Grade 12 with a 7 points distinction. Finally, the Lord enabled us to complete the house in Kitwe, which we have since sold to enable us build the one we are now living in. Conrad: Looking back to that decisive point when you were wrestling with the question, “Should we or should we not?” what can you say now with the wisdom of hindsight to those who may currently be in that situation? Our conclusion is that, in considering full time ministry, the only thing one needs to worry about is establishing that it is indeed God calling us. Once the call is established, God has promised to take care of us in ways we can never imagine! [I have commenced a series of blog posts comprising testimonies of Zambian friends who left their jobs in order to become Reformed Baptist pastors. This series is meant not only to be a window into the workings of God in the souls of men, but also an encouragement to those men who are currently wrestling with this matter. Conrad: We hear that many people expected you to enter the ministry many years ago. What caused the delay? Kapambwe: If answering a call to full time service was as easy as changing a job, I would have been a minister 20 years before I answered the call. It is even more challenging in a non-financially reassuring circumstance. Things are made difficult by better paying secular callings and made more difficult as the speed picks up to the top and outside objects dash past in the opposite direction. You just begin to feel that jumping off would be fatal. Better to wait until the speed reduces to zero. But that is also when your employer thinks you have reached your destination. Not also the best time for the Lord! Conrad: So, when did you begin to sense God's call to the ministry? Kapambwe: Promptings began as early as the early nineties and my actual response came early in January 2004, thanks to friends who saw it in me and did not give me rest. But it was a big struggle as I felt that they pushed long because they pushed with ‘bare hands only’ and it was not enough for a dozer stuck in relative comforts of life. Besides, was serving as an elder, it gave me a sense of relief since after all in our circles elders are pastors. But it was not long before I began to feel more than just ‘bare hands’ pushing. Jonah was at least blessed with deep sleep on his way to Tarshish! I began to soothe my soul by wanting to start church planting in towns like Chambishi or countries like Botswana where for a long time I felt strong urge to start a Reformed Baptist Church. Botswana yielded nothing whereas Chambishi yielded a job of my subordinates. For me it was confirmation the promptings were not genuine. Conrad: When did you finally find yourself yielding to God's call and how did this come about? Kapambwe: By 2002 I started speaking to friends who had answered the call and they all just said I had no reason to wait longer. 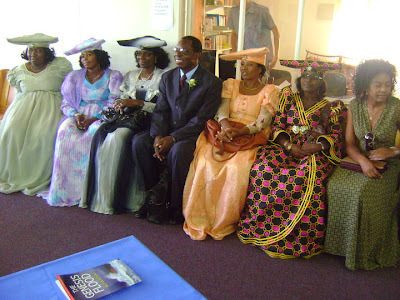 In 2003 the elders of KBC invited me for an interview for missionary vacancies in Zambia and abroad. To my pleasant surprise Botswana was one of the mission fields. But before venturing out, I had to start with Mazabuka. There were a number of "disadvantages". My salary was going to drop to half of what I was getting. I was going lose the benefits of some of the best medical and educational schemes in the country and it was no comfortable situation for the family to switch to government facilities in both cases especially at half salary. Conrad: Apart from these apparent disadvantages, were there any thoughts or events that would have made you think twice about answering God's call? Kapambwe: In 2003, there were issues of a leadership nature that had to be resolved at the sponsoring church. It affected the initial confirmation vote. Then came the Sales Refractory Engineer job offer from Johannesburg. I began to wonder whether this was not confirmation as to which door God was opening. I turned down the job for having not enough time for the family. I was appointed Senior Metallurgical Projects Engineer; the most satisfying position I ever had in the Mines with unlimited phone and internet (in the Mines at that time this was for plant Managers and above). But the promptings were too strong to continue. Later that year I got a second confirmation vote being well above the required two thirds and in January 2004 I was ordained the first international missionary but started with a short stint in Mazabuka. Conrad: Tell us about how all this changed so that you could feel "at home" with serving the Lord full time. Where there any pleasant surprises? 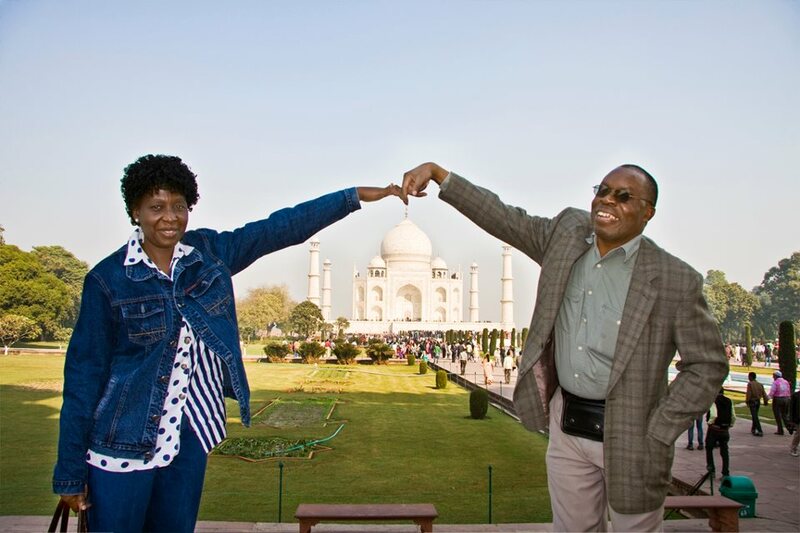 Kapambwe: By the time we were starting the work in Botswana, all the funds required for the work there were available. Soon I discovered the Lord had his own way of dealing with my fears. Although it took some five years for my missionary salary to hit the level I was getting in the Mines, my wife was getting a steady rise, we were generally healthy and did not have the need of first class medical facilities. Our kid who was still in a Mine school continued and the mission funds would pay seventy five percent of the cost. Missionary work took me to the USA, where for many years of work I did not even dream of being privileged to visit. Most of all, there is no job like serving as a minister of the gospel. The money may not be there, but may be that is the only thing not there to satisfy a soul. Were I to live again, I would go into it earlier. I am in a foreign land now doing diplomatic service, but I still enjoy working as I did, ministering to souls. Surprisingly even when typing this testimony, I had to break for 20 minutes or so to counsel a soul who is not even a member of my church! Conrad: Thank you for sharing this with us. We are hopeful that the experienced you gained as a missionary in Botswana and Namibia is not only being useful now as you labour as a "tent-maker" in India but will also be used of the Lord as he opens other doors for full time pastoral work.